Audiobooks are a great way to keep up with your favorite authors while on the go. Whether you’re sitting in rush hour traffic, headed out for a jog, or even just doing some chores around the house, it’s great to be able to make some progress on a book when you aren’t able to sit down and actually read. Audible, the audiobook service owned by Amazon, is perhaps the largest and most convenient way to get your hands on audiobooks. They have quite a large library and a wide variety of ways to listen to them – one of which being their Amazon Alexa app and Echo devices. 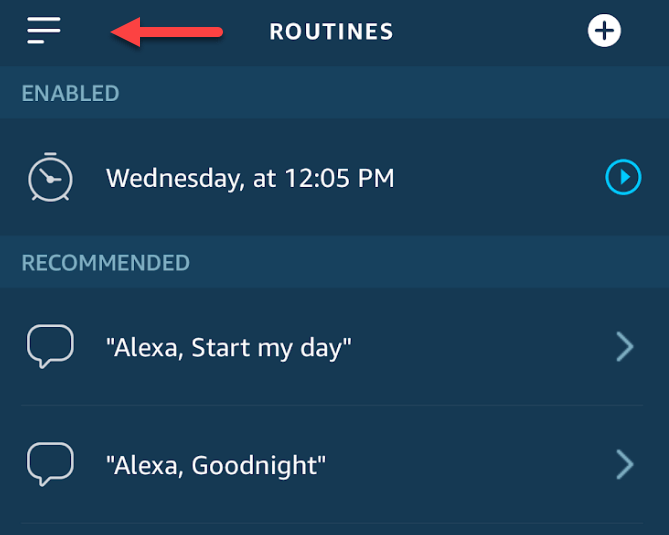 Listening to audiobooks using Amazon Alexa on your Echo devices is quite easy, and you can get the process up and running in just a few simple steps. Carrying a phone around and using headphones with the Audible app is certainly an option, but using your smart speaker is a lot more convenient when you’re just hanging out at home. Below, we’ve included a quick guide on how to listen to audiobooks using Amazon Alexa. Step 1. 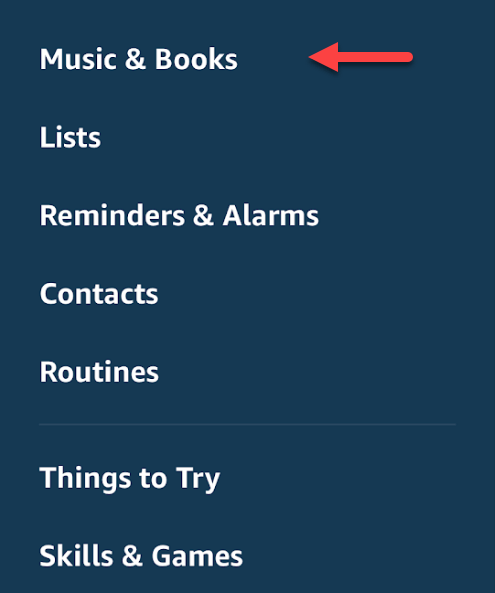 Navigate to Audible.com and click Sign In in the top right corner. If this is your first time using Audible, there should also be an option to take advantage of a 30-day free trial. If you’ve already used the service and have it linked to your Amazon Account, you can skip directly to Step 3. Step 2. 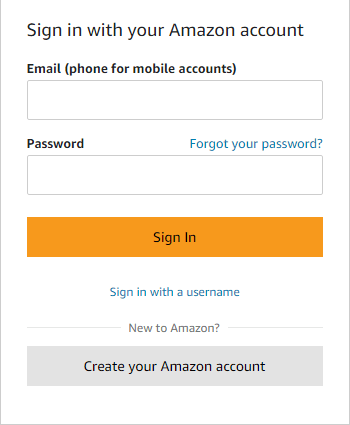 Log in to your Amazon Account, or register for a new one if you don’t have one. Step 3. 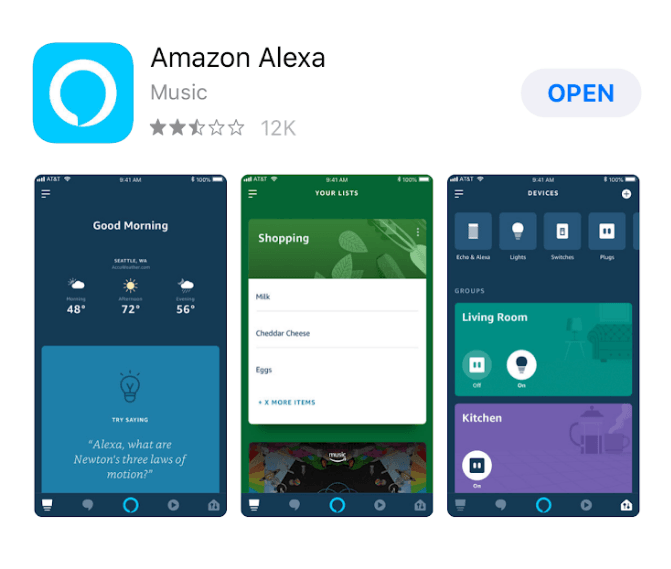 Download the Amazon Alexa app from the App Store (iOS) or from the Play Store (Android). We’ll be using the iOS App, but the process should be pretty much identical regardless of your chosen operating system. Step 4. Tap the three bars in the top left of the screen in order to open up the options menu. Step 5. Select Music and Books. Step 6. At the top of your screen, there should be a section called Audible Library. Select the audiobook you’d like to listen to on your Amazon Alexa app or Echo device. Step 7. A menu should pop up that includes your various Amazon devices. As long as your Echo device is connected to WiFi, it should be as simple as tapping the speaker you’d like the audiobook to play from. If you purchase more books on Audible, the library section in your Amazon Alexa app should populate automatically. Plus, with many of Amazon titles featuring Whispersync technology, you should be able to seamlessly transition between reading the title on your Kindle device or app, and enjoying Audible narration. Many library systems also offer the ability to check out Audiobooks digitally, which is another alternative to using Audible. However, your mileage may vary when it comes to playing the book through your Echo device. 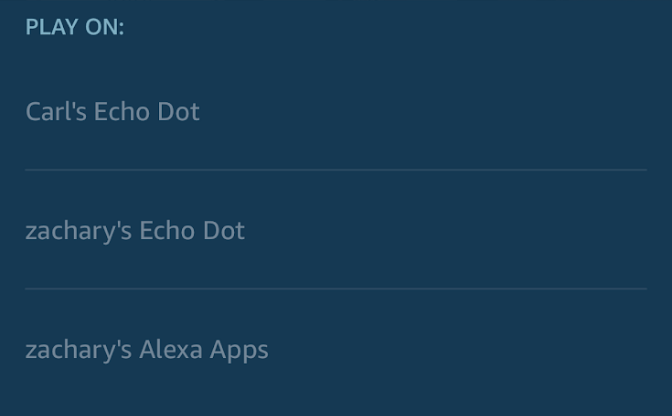 Amazon Alexa only officially supports Audible audiobooks, so you may have to resort to workarounds like using the Echo as a Bluetooth speaker and playing the book through your phone if you’d like to listen to books from other apps. Hopefully, with this quick tip, you’ll be reading…or shall I listening to your new book. Enjoy!